Kritters Thoughts: Jen Lancaster is known for her hilarious memoir like books that usually are focused on one topic or another, but this one takes a new route - a bucket list that can encompass many different topics. I loved it! I have read almost all of her books and have loved them all, I just love her form of comedy - it can be crass and in your face, but if you like that kind of thing then grab any of one of her books and laugh until you are crying! I loved that this one covered many topics and maybe I missed something, but I loved how she included her husband Fletch in a few of the stories. 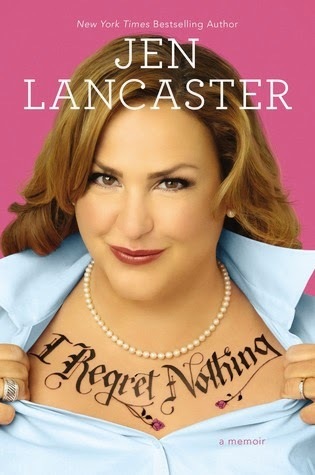 If you haven't read any of Jen Lancaster memoir books, you can start at the beginning or anywhere in between!